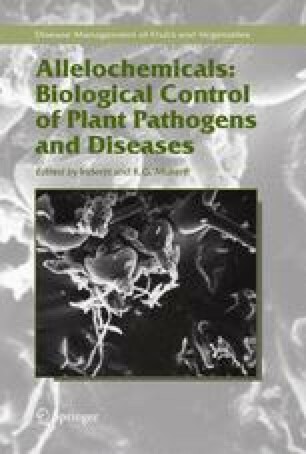 Allelochemals induced in mycorrhizal plants play an important role in disease resistance. Mycorrhizal associations are the most important symbiosis systems in terrestrial ecosystems and offer many benefits to the host plant. Arbuscular mycorrhizal associations can reduce damage caused by soil and root - borne pathogens.